Back before indie days fun glitter polishes were not easy to find. LA Splash was a brand that used to be carried at Ulta around 5-6 years ago and they used to sell fun glitter polishes. One of my favorites used to be Midnight Rain. I rediscovered it in my stash recently and that is what I have to show you today. 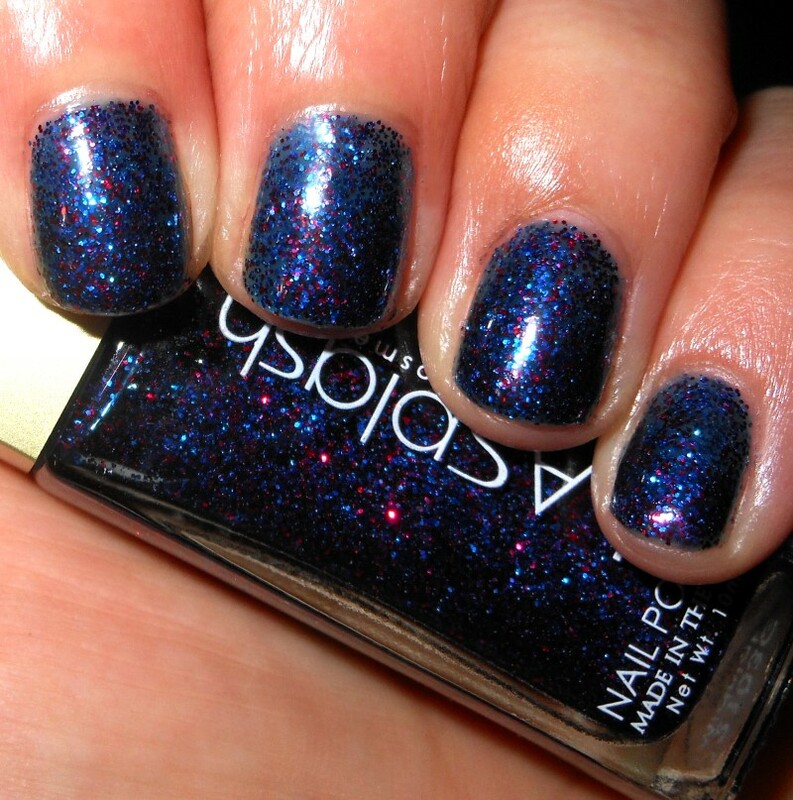 Midnight Rain is a navy jelly base with blue and red glitter. 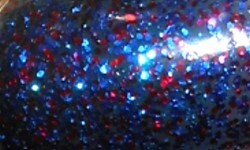 Color: I love the combination of red and blue glitters. A bold red and bold blue are probably my favorite colors. The thing I don't like about this color is the sheerness, which I'll get into in the next section. The colors of though are awesome in here and I don't see many red and blue color combos like this often. Formula: This is sheer. This is probably best layered, but I've been spoiled the past 4 years with awesome opaque glitter polishes from indies. This isn't how things were pre-indie. Layering glitters were expected. I used 4 coats here on its own and you still see patchy spots. The formula was a bit on the thick side too which is not ideal when you layering on 4 coats! Price: N/A. I don't think you can find this one anymore. Overall: I really do like this glitter, but I'll remember it needs to be layered in the future. I'd probably rate this so much higher if it were 2012, but it's 2016. No, this isn't an ideal polish now, but it's a nice throwback.